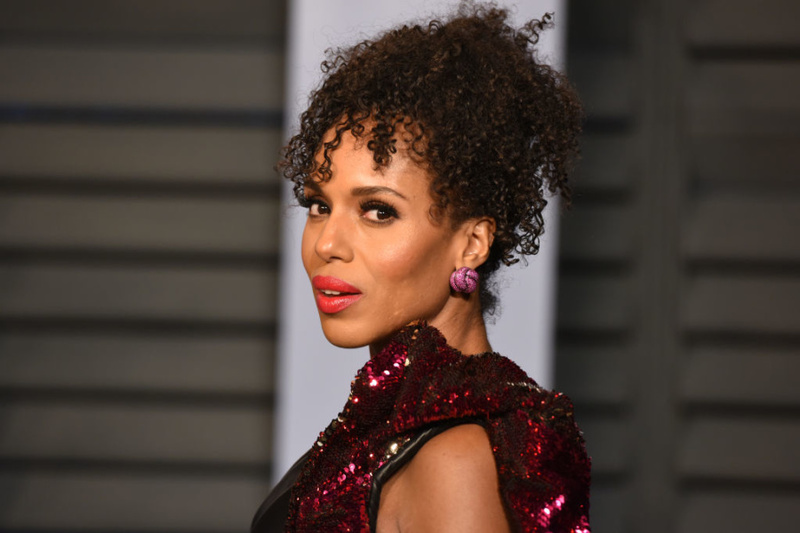 There’s no shortage of stunning-skin role models over 40: Kerry Washington is 41. Jennifer Lopez is 48. Julianne Moore is 57. Hell, Sharon Stone is 60! And looking that damn good for your age isn’t only for Hollywood’s best and the genetically blessed; gorgeous skin comes from a consistent, active-packed skincare routine. But the formulas your skin needs now aren’t the same as 10 or even five years ago. Here’s what you need to be a glowing grownup. If you’re 40+, once upon a time you probably covered yourself in baby oil to sunbathe during PTH (peak tanning hours). Sunscreen wasn’t really a thing; it was saved for the sunniest of beach days or afternoons on the ski slopes. But the importance of sunscreen–every damn day—has been known for a good 30 years now, and if you haven’t already, it’s time to get with the program. Even if you don’t use all the other amazing ingredients in this article, just by adding sunscreen, “your skin will get busy repairing old damage and creating new healthy epidermal cells, collagen, and elastin,” says Bank. 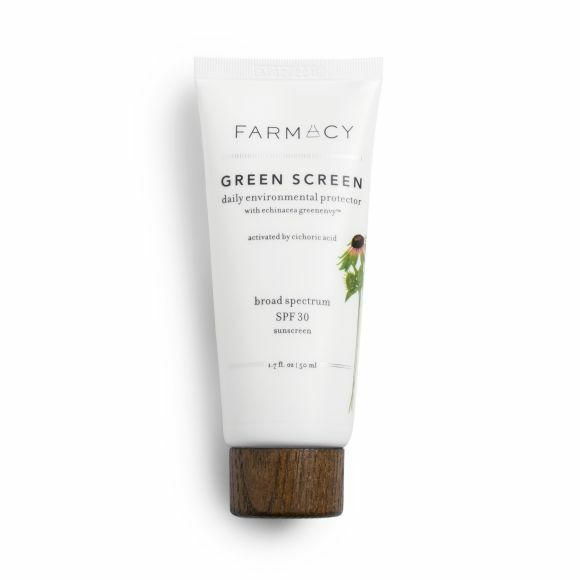 Try: Farmacy Green Screen Daily Environmental Protector Broad Spectrum SPF 30. It contains zinc oxide and titanium dioxide for true broad-spectrum protection, but won’t leave the white cast on your skin that mineral sunscreens often do. “Retinoids are the granddaddy of them all, the king of the hill, the standard by which all other anti-agers are judged,” says Bank, with a tone of both mock and real reverence. He knows that he and pretty much every other dermatologist on the planet have proclaimed the importance of retinoids many, many, many times. And that’s because the category of vitamin A derivatives—including prescription-strength retinoids, retinol, retinyl palmitate, and retinyl acetate—work on so many different levels. “They affect cell turnover, exfoliation, and cell repair and they keep pores unblocked,” he says. In the past, a lot of people found retinoids to be too drying and irritating, but newer formulations make them usable by almost everyone. Try: Dr. Brandt® 2% Retinol Complex Serum. This serum gives skin an immediate burst then a steady, all-night dose of retinol for effectiveness without irritation. 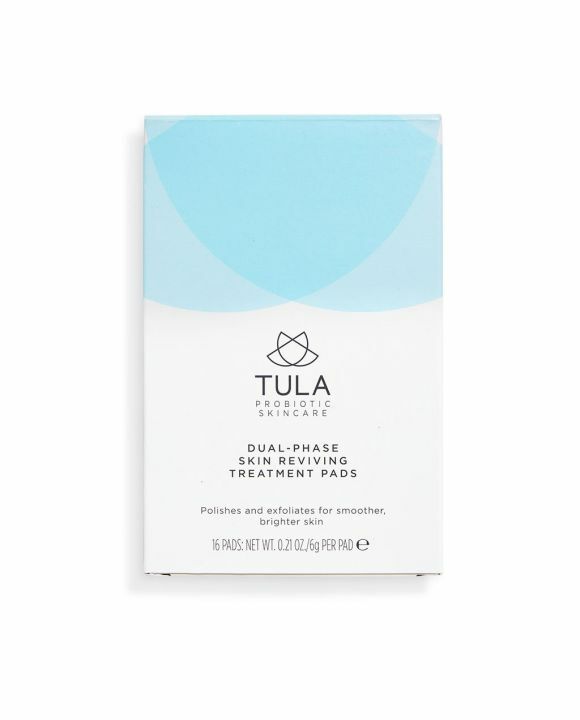 Try: TULA by Dr. Raj Dual-Phase Skin Reviving Treatment Pads. This is a weekly peel that pairs lactic acid with probiotics to simultaneous slough and soothe. As the key ingredient in most injectable fillers, HA plumps skin to make it look youthful. As Bank explains, “it’s a very large molecule, so to get HA into your skin, you’ll need to inject it. However, when applied topically, it can be a wonderful humectant, grabbing and holding water molecules to support and maintain hydration.” Remember, this is topical so expect skin to look more dewy than plump per se. To understand antioxidants, you first need to know about free radicals. “Free radicals are molecules generated by…sunlight and pollution, that can be damaging to the cells around them,” explains Bank. “They’re unstable and contain a high-energy charge that they’re looking to get rid of. Antioxidants ‘jump on the grenade,’ absorbing the energy hit and thus protecting the living skin cells around them.” There are tons of antioxidants to choose from, but Bank’s favorite combination is vitamin C, E, and ferulic acid together. 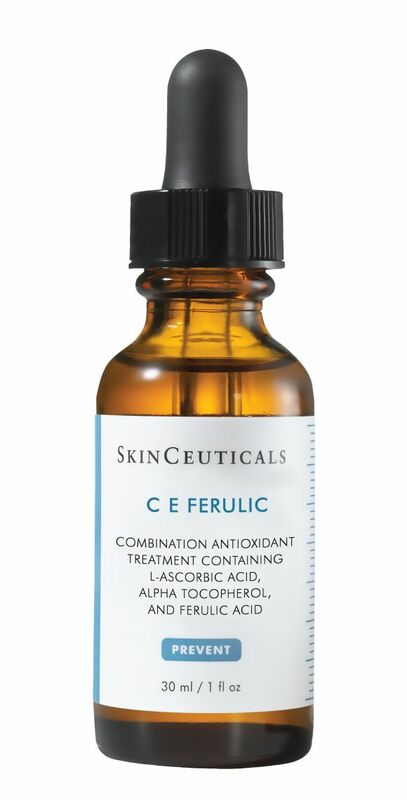 Try: Skinceuticals C E Ferulic®. This is a serum with a combination of antioxidants that work synergistically. Growth factors are proteins that promote the growth, development, and maturation of its cells,” says Bank. In topical products, “they can have beneficial effects in terms of sun damage.” So what does that look like? You may see an improvement in the appearance of fine lines and wrinkles as well as skin texture and tone. 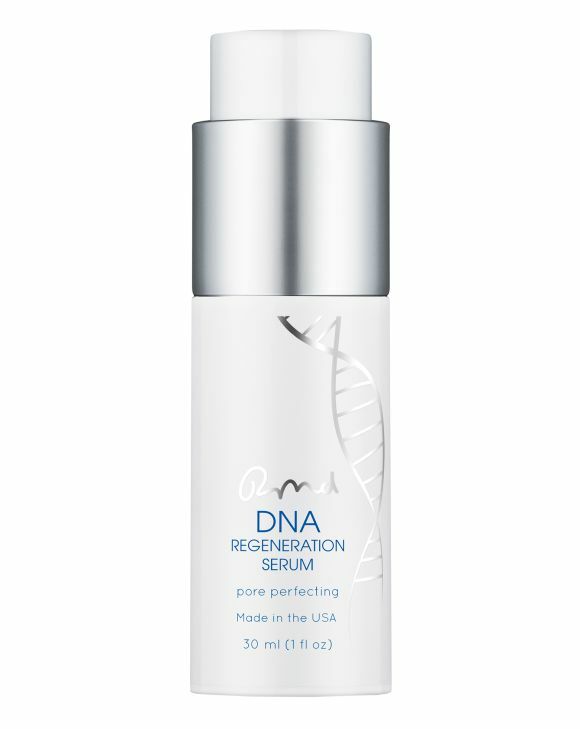 Try: RMD DNA Regeneration Serum. We like this nightly serum powered by barley-derived growth factors. It’s great for lightening dark spots and improving the appearance of pores. Also known as B3 and nicotinic acid, niacinamide is a terrific at soothing skin and reducing the appearance of redness (though ironically, it sometimes causes facial flushing when first used). But the bigger deal is what Bank calls the ingredient’s performance-enhancing effects: “Niacinamide addresses cell energy so skin cells behave like younger, healthier cells, meaning better tone, texture, and brightness," he says. 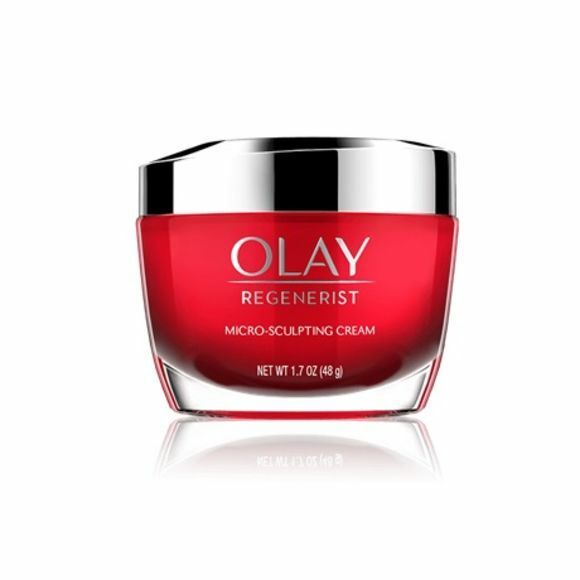 Try: Olay Regenerist Whip Face Moisturizer. It’s a cream in the jar, a liquid on your skin, and it dries matte, making it a great option for under makeup. Talk about good fats: “Ceramides are lipids naturally found in high concentration in the stratum corneum,” says Bank. Ceramides help maintain a healthy skin barrier, your skin’s protective function that keeps irritants out and moisture in. As we age our skin produces fewer of its own lipids, and needs topically applied ceramides to stay hydrated and healthy. Try: Elizabeth Arden Advanced Ceramide Capsules Daily Youth Restoring Serum. Pop these individual capsules to reveal a luxurious serum that instantly comforts your skin.